I love miniatures. Maybe it comes from the fact that I had a dollhouse when I was younger and have always been fascinated by them. 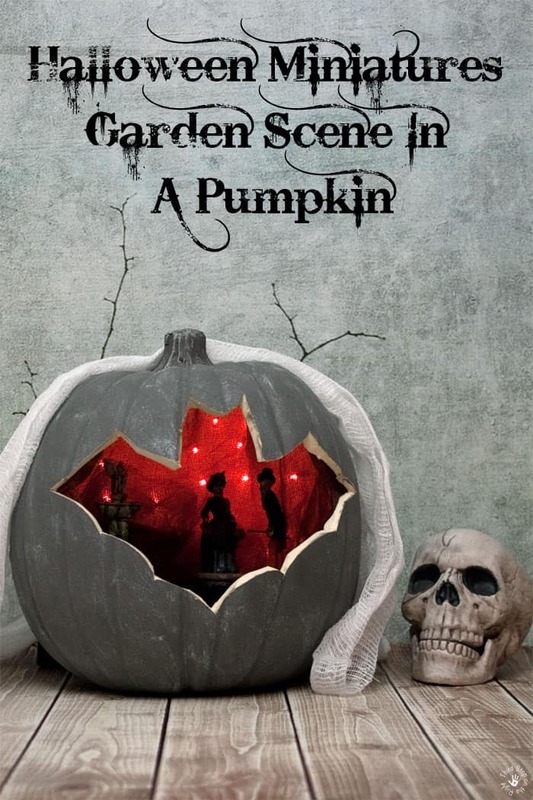 I also love Halloween. 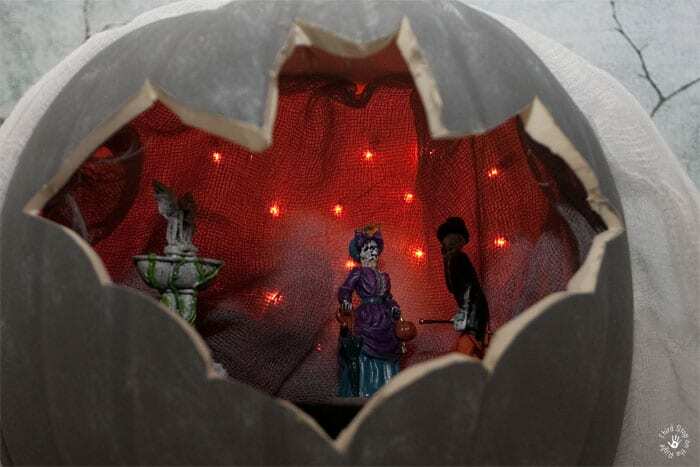 So, what can be better than Halloween miniatures? When I was at the craft store recently, I found these adorable Halloween-themed miniatures. Some of them included witches on brooms, “former” crazy cat ladies, and even this Victorian skeleton couple that I found. I decided to use them to create a cute miniatures scene. I decided to get a little extra creative with the scene. 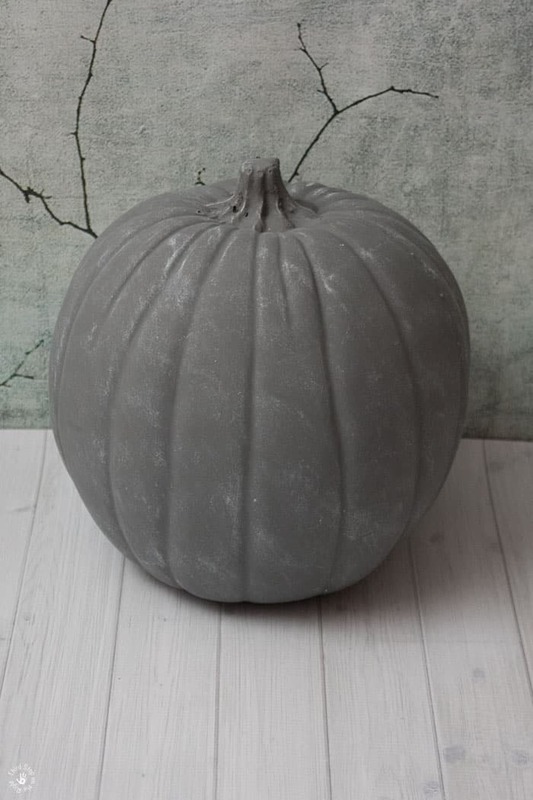 I purchased a grey craft pumpkin. I decided to cut an opening in the shape of a bat. I printed out a picture of a bat. I cut out the bat, leaving about an extra inch around the edges. 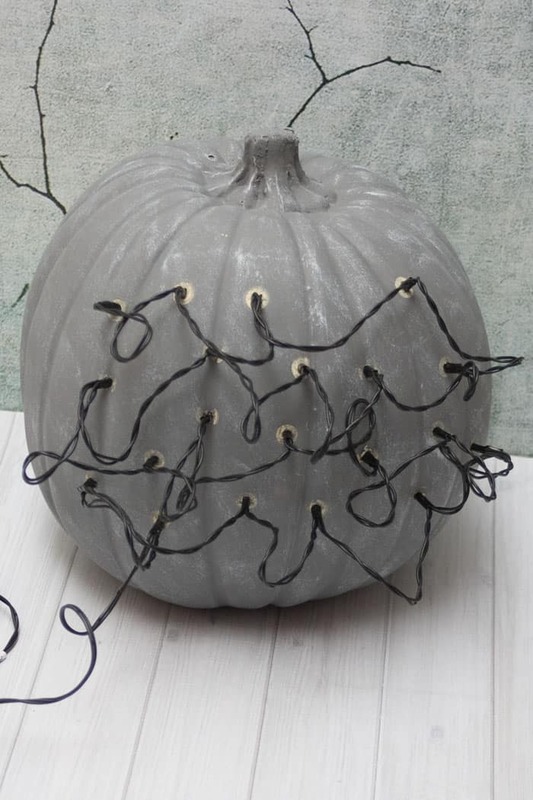 Then, using straight pins, I pinned the pattern to the craft pumpkin. Make sure to use enough pins so that it makes an outline of the whole pattern. Remove the pins and the pattern. Use a hot knife with an X-acto attachment to cut around the dots and cut the shape of the bat out. I also found a strand of 20 orange mini lights. 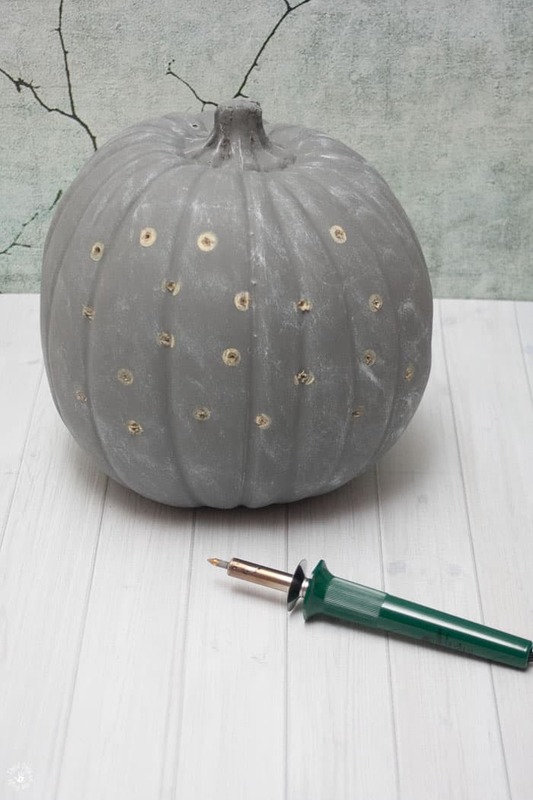 Using one of the pencil-like hot knife attachments, I punched 20 small holes in the back of the pumpkin. Push the mini lights through the small holes. The lights are pretty bright and I decided to mute them a little but adding a cheesecloth drape. Just cut a piece of decorative cheese cloth and attach it in a drape fashion with hot glue. I purchased a foam floral disk and some black felt. I traced the shape of the disk onto the piece of felt and cut it out. I glued it to the top of the disk. I also cut a strip and attached it to the edge of the disk. Insert the disk inside the pumpkin. 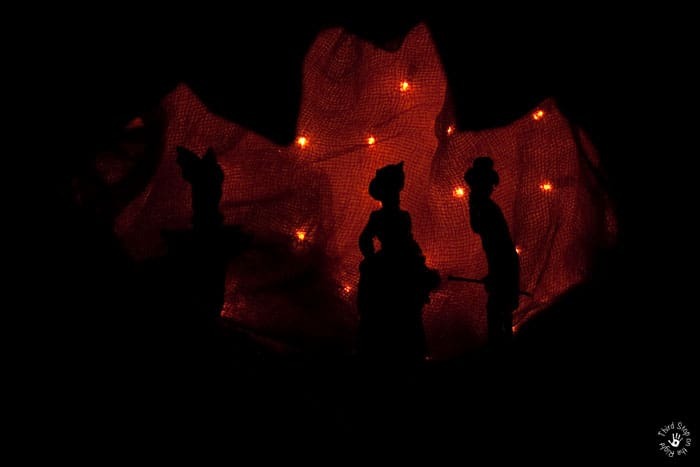 Then, using hot glue I attached the skeleton couple as well as a ghostly water fountain. Obviously, I was going for a park scene. To finish off the pumpkin, and also to hide the rest of the cords, I draped another piece of cheesecloth around the top and sides of the pumpkin. 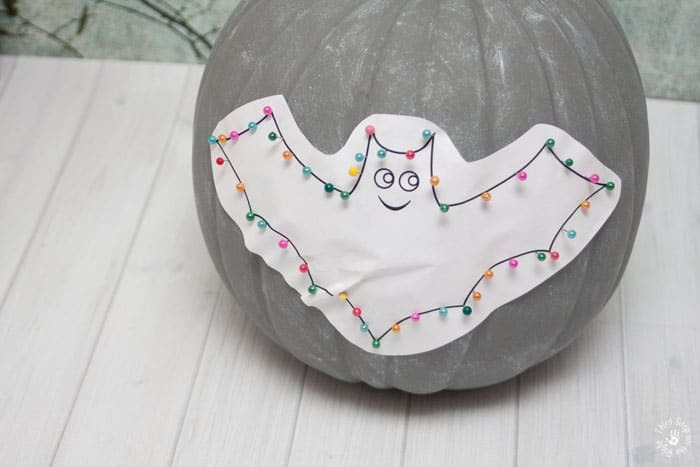 Now you have a cute and creative (not to mention spooky!) decoration for Halloween. Plus, if your kids are anything like mine they will love it!